India is surely a vibrant country which is completely infused with the array of festivals to lift up our spirits. Don’t let this vibe make you dull even at your workplace. Navratri is just round the corner and here is how you can celebrate the most awaited nice pious days of the year. These tips for the working professionals will surely make then fall in love with this divine festival that is filled with glory, lively and cheerful air of festivity. Try out these tips for a wonderful week ahead and experience the change in your otherwise monotonous schedule of working. These upbeat tips are tried and tested and will create a joyous atmosphere around you. Try something different from your usual wardrobe! 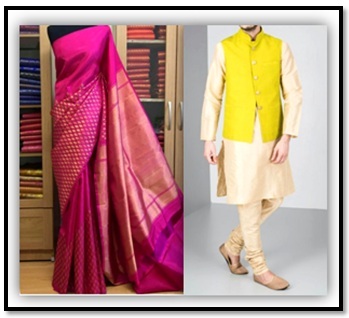 This navratri, make sure that you move out with your best ethnic attire. You can ditch your regular jeans and top attire and drape a saree for office. Hues of pastels look gorgeous during the navratri days. Men can also try wearing different shades of Kurtas and Nehru Jacket to work. Nine days of Navratri is the best time when you can wear your best clothes and feel at ease because the air calls for festive feel. So, go home and get your antique, junk and precious jewellery out. After all you need to pair those up with the sarees and suit lined up for the coming 9 days. In fact each day has a colour associated with the navratri goddess that you can try follow to stay in sync with the celebrations. Another best part of the navratri celebration is the food. It can make anyone go gaga over the aroma of the mouth watering cuisines. 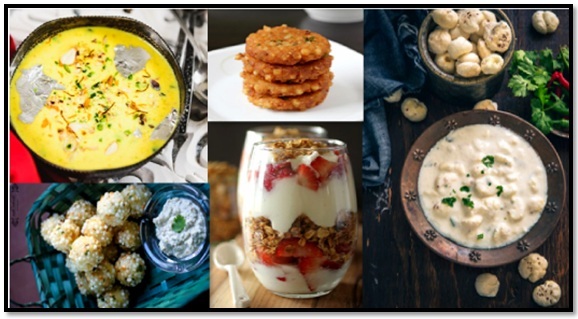 From smoothies to sago cutlets to kheer everything conspires to make you fall in love with the food and break your otherwise diet regime. Every cuisine promises an increased calorie intake and promises to leave you asking for more. You can give rest to your respective mother, wife, home help who prepare lunch for you. Order delicious navratri special thalis for lunch and relish the real taste of this festival comprising of low-calorie, proteins and fibre. For those on the fast during the nine days, make sure that you do not starve. Starving will lead to excessive energy loss and make you less productive at work. Make sure you stay hydrated and consume small bits of fruits and shakes to keep in check the necessary sugar/glucose intake required for the body to function normally. Navratri is all about celebrating the grandeur of the upcoming festive season. Because after Navratri, a string of festivals such as Dusshera, Diwali, Karwa Chauth, Guru Purab follows. Take initiative to organise a Dandia night in your office and invite everyone to participate in it. Such get-together in the office premises often refreshes employees and helps them gel with each other. In some offices, rangoli making competitions are also organised. The winning team is awarded with gifts and goodies. Do not miss out on ethnic festive celebrations in the office. They add great fun to otherwise predictable office parties. You can even consider decorating your work-station with beautiful flowers and place a plant to mark the beginning of new season. Bonding here simply means, that observing fast is one way to celebrate this festival in northern part of India. But there are other styles of celebrating these nine pious days in various other states of India. For say in West Bengal the last four days of Navratri are celebrated as Durga Puja. In Andhra Pradesh, the natives celebrate Bathukamma Panduga, and during these nine days dedicated to Maha Gauri, the goddess representing womanhood. If you work in a diverse workplace where people hail from various backgrounds then do make sure that they don’t feel out of place. These were a few tips to celebrate the refreshing 9 Days of Navratri. 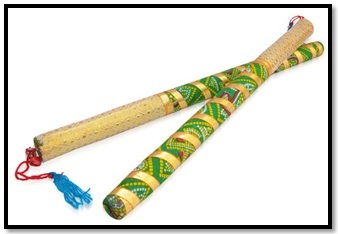 We hope that as a working professional you will celebrate navratri with sheer pomp and show at your workplace.